The Snapdragon 820 chipset is going to be powering an impressive number of smartphones once the long awaited chip is finally released to manufacturers. Meanwhile, the Snapdragon 820 continues to be benchmarked, producing split results indicating that the SoC could be a worthy successor to the Snapdragon 810. Potential smartphone buyers are unsure if they should risk the purchase of a current handset powered by the Snapdragon 810 chip set (with its tendencies to overheat), or wait for the next-generation of Snapdragon 820 powered phones to arrive. While we can't always rely on a benchmark test to provide real world results, the Snapdragon 820 scored high on Geekbench's single-core test. The tally of 1887 outscored the 1508 produced by the Exynos 7420 SoC, which powers the Samsung Galaxy Note5. But it was well short of the 2526 produced by the A9 running an Apple iPhone 6s. The multi-core score for the Snapdragon 820 was 3936, which falls short of the 4811 achieved by the Exynos 7420, and the A9's 4396. It even falls short of the 4628 multi-core score produced by the Snapdragon 810's Geekbench test. While the single-core score is considered more important, since most apps use a single-core, it still could be that Qualcomm is working on the chip, and it is not yet in its final form. A new player should get in along with Exynos and the failed Snapdragon. Maybe Sony should sell its smartphone business and make smartphone chips! I miss TI's OMAP being in the game. I actually really like how they took the 800 and optimized it and used center cuts of silicone for it. It's what they should be doing! 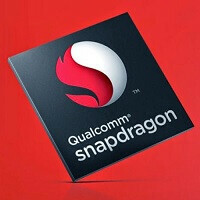 Snapdragon S4 (Dual Core 1.5ghz) The Original Krait SoC was the best. Its what Krait Cores were designed to run at when Qualcomm developed its only fully custom core. The sustainable perfornamce at the highest clock speed of the Qualcomm Snapdragon 801 in combination with the excelent bettary life it provided is unrivalled even by todays standards. This is clearly proven at the article ''In-depth with the Snapdragon 810's heat problems'' from arstechnica writen on 23/07/2015 where the Qualcomm Snapdragon 801 is not only compared with previous 32-bit and later 64-bit SoC designs from Qualcomm itself but is also compared with the latest SoC designs from other manufacturers such as Samsung's Exynos 7420. The Qualcomm Snapdragon 801 doesn't suffer from thermal throtling at all, which is even more impressive considering the fanless and limited in space design of the modern smartphones for wihich it was designed. "while the single-core score is considered more important, since most apps use a single-core" Not really. Heavy task certainly doesn't use singe core! Lighter apps may use only one but that's for better as for efficiency. So multi core is certainly more matter as most android apps would push all the core for heavy task. Also it's inevitably that with great single core performance guaranteed the multi core performance should also getting great score. You should read this : http://www.androidauthority.com/galaxy-s6-octa-core-processor-usage-617585/ Even a task like browsing in chrome can easily use all 8 cores. Because Chrome is an inefficient memory+cpu w***e.
Not only chrome but pretty much all apps will use all cores. Its not due to inefficiency but other way around actually. Same thing on PC. This just means chrome is properly multithreaded. Being it inefficient depends on the quality of code and has absolutely no correlation with using cores. A bad app can be inefficient with using only one core. Being inefficient will not automatically make it multithreaded. chrome is not inefficient at all, and it's also designed to take advantage of multiple cores. Chrome on an Samsung tho? Stock all day. Samsung doesn't optimise chrome. Their own browser works much better. yeah right, even if the app didnt designed to use multi-core, android still can make it gain benefit from multi-core and as they say "octa-core big.LITTLE processor has eight cores for power efficiency, not for performance" dunno why PA said something like "while the single-core score is considered more important"
Probably from reading too much Apple centric propaganda with little relevance to Android phones. 4.5 years ago my S2 would already emply borh cores most of the time and not just with heavy tasks. Yet the myth still continues. True. The 820 will be running at 2 GHz at the very least in the final product, and it's rumored to go up to 3 GHz. This is running at barely over half of that. When the 820 shows up in 2016 flagships, it'll be a beast. In my original draft of the story, I wrote that the chip was running at 1.6GHz. But then it dawned on me that the other chips also were not running all out. So if you're comparing the scores, you can't give the 820 credit for something that the other chuips are facing too. Regards, Alan F.